Meadowlake Pet Resort & Training Center is the most award-winning and veterinarian-recommended pet care facility in the area. We are part of the Outstanding Pet Care group; the most elite network of pet care providers in the country. As pet parents ourselves, we know that choosing a trustworthy pet care provider or facility is an important decision. We recognize price is certainly one consideration. Our Standard/Basic Overnight Lodging starts as low as $28.95 per night for dogs and $16.95 for cats. Call us today to understand what is uniquely included in our amazing standard, comfy, secure care and why leading veterinarians recommend our award-winning facility above other providers. We have a reliable staff to ensure all of our guests are well cared for. Let’s face it, from time to time, an individual you entrust to take care of your pet may get sick, have a family situation arise, have transportation issues due to serious weather etc. Because we are a full-time pet care business, we make special accommodations to ensure we always have trained staff to care for our guests. You'll have peace of mind knowing that your pet is well cared for in an impeccably clean, caring and secure home-away-from-home. Unlike a home environment, our facility was built with pets in mind. We continuously invest in the proper training, equipment and protocols to keep our facility super clean and your pet safe while in our care. This includes secure fencing, fire prevention, proper ventilation, training to understand and read pet’s body language, basic pet first aid, vaccine requirements and a state of the art security system. Your pet will enjoy the ultimate in comfort and pampering. Soft bedding, soothing music, calm and stress free environments, homemade treats and nutritious meals will make every pup's stay the pinnacle of enjoyment. Our staff maintains up to date training and certification through the Outstanding Pet Care Learning Center (OPCLC) and Pet Guru, as well as Pet CPR and First Aid training. Rather than including a one-size fits all approach to activities, we realize each pet parent knows their pet best. 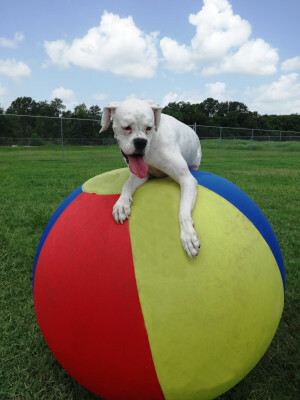 Customize the level of play, as well as length of play time, to make sure your furry friend has a great time. 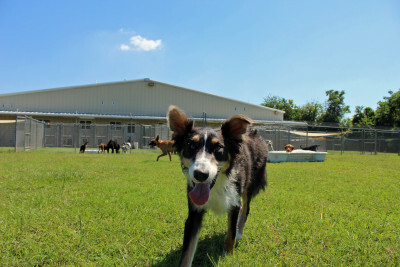 Our facility gives dogs the opportunity to safely socialize and play with other pups as well. We are committed to following all local and state requirements to ensure your pet the safest and most accommodating stay. We take every step to make sure that you have the peace of mind that your pet is being cared for by professionals in a secure environment. We are committed to sustaining a trustworthy community business to provide high quality pet care for many years to come. As the leading pet care provider in our area, Meadowlake Pet Resort & Training Center often has limited availability, especially during busy travel and holiday seasons. We encourage you to speak with one of our reservation specialists as soon as possible.